Microban X-590 Institutional Spray Water-based bactericide, fungicide, deodorant and insecticide with tracer. 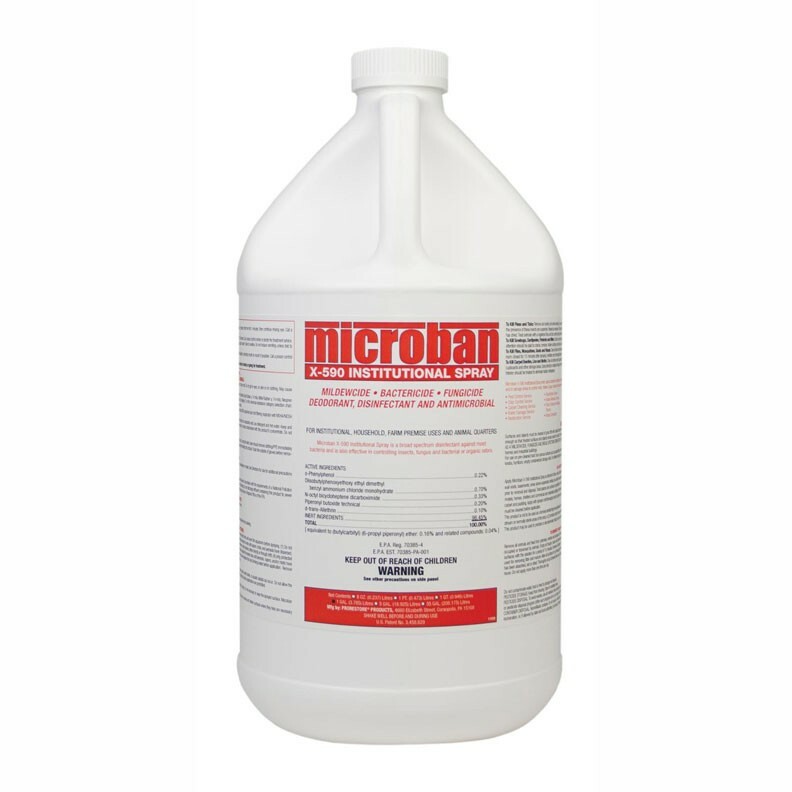 Just one application of the new Microban X-590 kills nuisance insects, mold, mildew and bacteria odors. It's registered for use on soft surfaces, including mattresses, so it's perfect for combating bed bugs. X-590 is also suitable for many decontamination applications including sewage backups, removal of carcasses and more. As an insecticide, Microban X-590 kills roaches, lice, fleas, ants, beetles, bed bugs and their larvae. And as a bactericide, Microban X-590 kills gram negative bacteria typically encountered in sewage backups and toilet overflow situations, and is EPA-registered for spray application. Microban X-590 Institutional Spray includes a tracer, which is especially important when proving compliance with local regulations for mattress treatment.